SUDS Exterior Soap has been specially formulated to powerfully clean your car as it protects your wax finish. With harsh chemical and stripping agents, most soap can cause damage to your automobile. Sure they may be easy to use, but along with removing dirt, they also remove your finish and protective coatings. That is why SUDS is the perfect balance of shielding your wax and protective coatings, while also removing unsightly dirt and road grime. 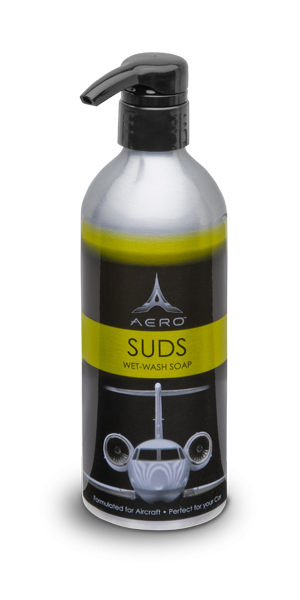 SUDS, the ultimate soap that helps to keep a shine on your paint without harsh stripping agents that can damage surfaces, is environmentally friendly and biodegradable. With SUDS you do not have to worry about water spots or causing “spider web” marks in your paint finish because of its revolutionary lubricating agents to remove the dirt.